As strains of “O Christmas Tree” wafted through the cool air, President Donald Trump and first lady Melania Trump on Monday accepted the official White House Christmas tree that will go on display in the Blue Room and anchor the holiday season at the executive mansion. WASHINGTON — As strains of “O Christmas Tree” wafted through the cool air, President Donald Trump and first lady Melania Trump on Monday accepted the official White House Christmas tree that will go on display in the Blue Room and anchor the holiday season at the executive mansion. 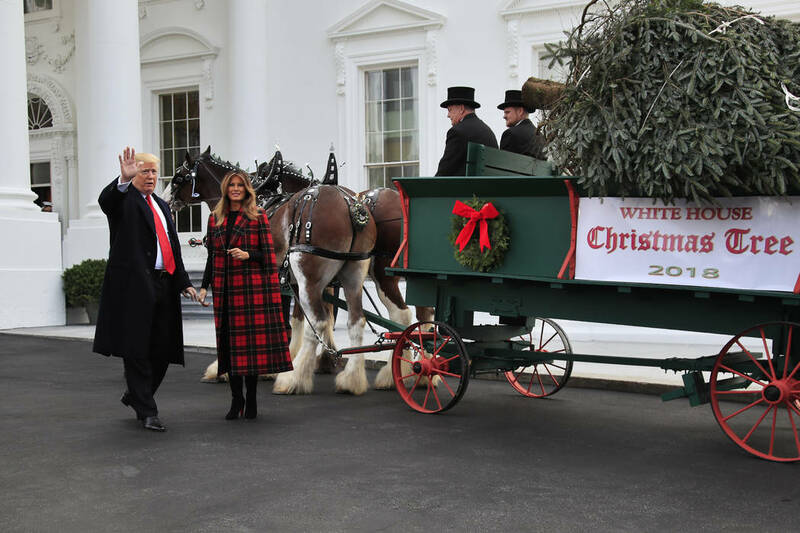 Holding each other’s hand, the Trumps spent about a minute walking around the wagon and inspecting the tree, with the president nodding in apparent approval at one point and patting the rear end of one of the horses at another point. The tree’s arrival ushers in a month of holiday festivities at the White House and its environs. On Tuesday, Trump plans to participate in another seasonal rite: pardoning the National Thanksgiving Turkey. 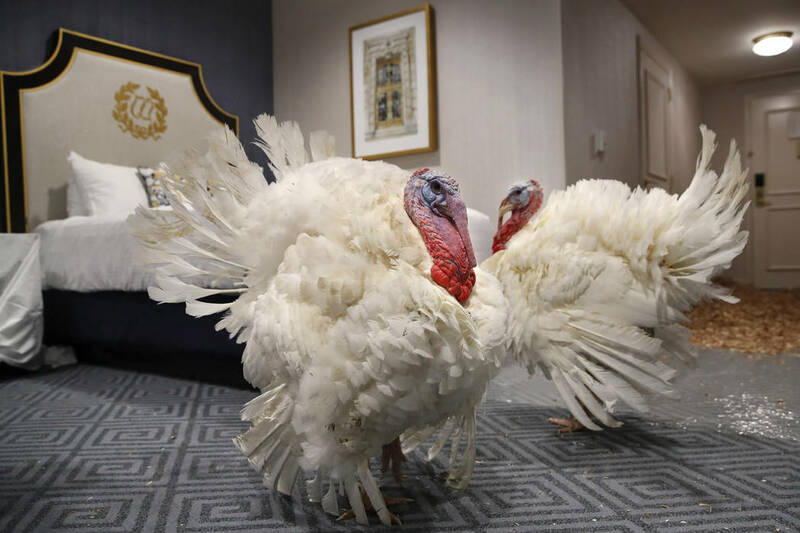 A pair of birds named Peas and Carrots are the candidates for this year’s act of presidential mercy. Trump is also expected to help light the National Christmas Tree on the Ellipse later this month. After the pardons, the first family will head to Florida to keep their tradition of spending Thanksgiving at Trump’s estate in Palm Beach. Her theme last year was “Time-Honored Traditions,” a nod to 200 years of holiday celebrations at the executive mansion. 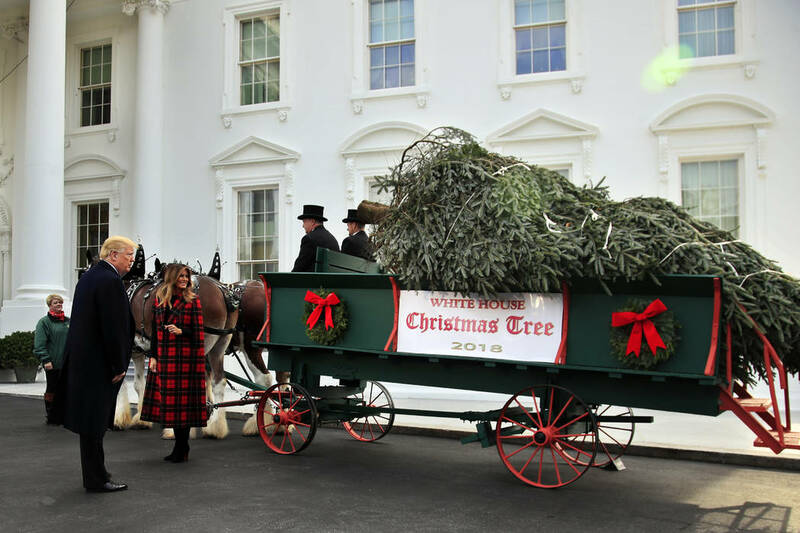 Smith’s farm, Mountain Top Fraser Fir, provided the tree to the White House after winning the National Christmas Tree Association’s annual contest. 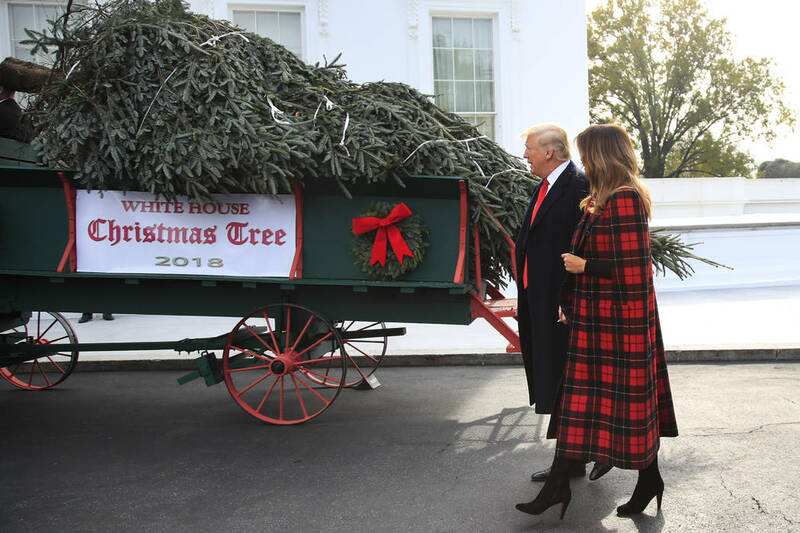 The White House grounds superintendent and the chief usher picked the fir during a September trip to Smith’s farm, making the Trumps’ inspection and approval of the tree a formality. The president’s appearance was unusual. The annual tree delivery traditionally has been an event for White House staff or the first lady. The White House Historical Association said Monday it could find no evidence of a president ever joining the first lady to accept the tree.